Mixed marriages have always had an ambiguous and often problematic relationship with the law. On one hand, mixed marriages have been seen as a key indicator of sociocultural integration into mainstream society. In terms of the law, this perception has been expressed, for example, as privileged access to citizenship status for immigrant family members of citizens. On the other hand, mixed marriages have been seen as a threat to society and social cohesion. In this article, I argue that these contradictory perceptions of mixed relationships have informed the development of citizenship law over time. Building on literature on the regulation of mixed marriages in law, as well as gender and citizenship law, I use the Netherlands as a case study to demonstrate how citizenship law has been used as a tool to prevent certain types of “undesirable” mixed couples and how this approach has informed Dutch citizenship law until today. 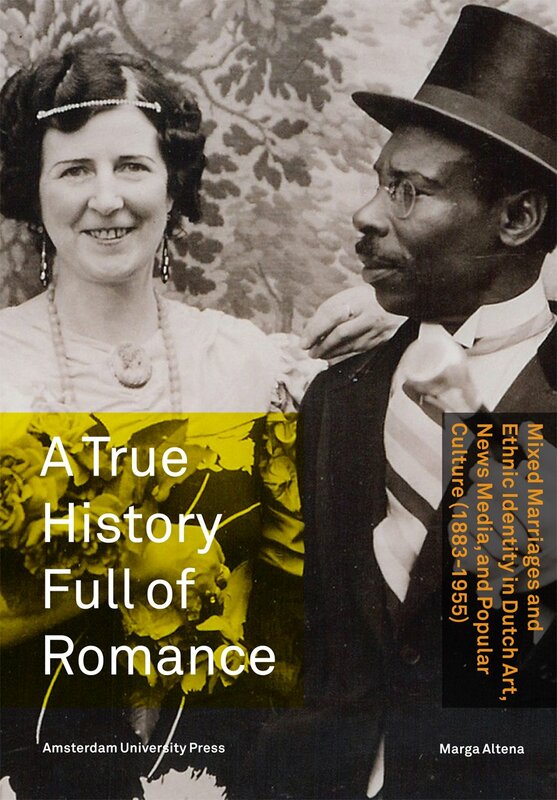 Altena, Marga, A True History Full of Romance: Mixed Marriages and Ethnic Identity in Dutch Art, News Media, and Popular Culture (1883-1955) (Amsterdam: Amsterdam University Press, 2012). Even before the Second World War, cases of interracial unions had been recorded in the Netherlands, but the greater part of the Dutch public in the late nineteenth and early twentieth centuries still considered these bonds extraordinary. If the possibility of such unions crossed the minds of common Dutch citizens at all, they were mainly associated with colonial life in the Dutch East Indies. Although certainly not unambiguous aspects of colonial life, mixed unions were part and parcel of the Dutch colonial experience. Even in this colonial context, however, unions of White women with Indigenous men were extremely unusual. A European woman who entered such a marriage excluded herself from the community of Europeans. In the Netherlands itself, the term “mixed marriages” was used during this period primarily to refer to unions either outside the individual’s social class or with spouses of a different religious background, an important distinguishing feature in strongly “pillarized” Dutch society. In her book, Altena presents three cases of Dutch White women who, against all odds, married men of color. They did so in a period when it was still quite unusual and—perhaps as a result of this uniqueness—all three of the analyzed marriages figured prominently in the news. The unions were also represented in other cultural media expressions such as fiction. This gives Altena the opportunity to analyze how ethnic identity was constructed in Dutch media from various angles. Altena’s first case concerns the marriage of Frederick Taen, the son of a Chinese father and an English mother, to the Dutch woman Mia Cuypers. It is interesting to note that Taen’s partial European roots were apparently completely lost in the public representation. Was this something Taen did on purpose? He might have deemed Chinese roots favorable for his business trade. Cuypers was the daughter of a famous Dutch architect, P.J.H. Cuypers, known among other works for building the Rijksmuseum. The artistic background of the bride and the affluence of the groom made the union interesting enough to be represented in several instances of cultural expression. Mia Cuypers was a special woman in other respects as well; she went against the grain multiple times, first by marrying Frederick Taen, then by divorcing him, and, later, by not totally denying the misalliance. The second case is the marriage of Johanna van Dommelen and Angus Montour (Twanietanekan), also known as American Horse, in 1906, the bride an unmarried mother from The Hague, the groom a Mohawk widower from eastern Canada. Altena analyzes the press coverage in both countries. She makes it very clear that for both the bride and the groom their union had several advantages, and shows how they used the media attention to improve their lives. The last case that Altena describes is that of the marriage between Marie Borchert and Joseph Sylvester in 1928, in the town of Hengelo. Borchert was the daughter of a well-to-do local family, Sylvester a salesman and entertainer. This couple clearly orchestrated their public performance. This is understandable partly because of how Sylvester earned a living. The case gets really interesting when Altena recalls how the couple used press coverage to raise awareness among their fellow citizens about the use of Black stereotypes. Mixed race kids a new phenomenon in the Netherlands? We think not. This week cultural centre de Balie in Amsterdam will be hosting an event titled ‘LovingDay.nl: (In)visibly Mixed’ on “mixed race” families and relationships (BTW, the Netherlands uncritically accepts this terminology, along with the assumption that certain people are “pure” and others are “mixed”, thereby reifying 19th century race theories). Loving Day takes the end of anti-miscegenation laws in America in 1967 as its starting point to celebrate the growing number of mixed couples and children in the Netherlands. Mixed children are a growing phenomenon in the Netherlands (up from 30% to 37% from 2007 in Amsterdam) but oddly, the program claims, this growth is not visible in Dutch policy or imaging of the Dutch identity. Comments Off on Mixed race kids a new phenomenon in the Netherlands? We think not. This important study about ethnically mixed marriages in the Netherlands of the 1883-1955 period offers a compelling overview on the nature and experience of ethnicity from a wide range of scholarly perspectives. Drawing from exhaustive research in the Netherlands, Europe and the Americas, Altena offers illuminating new insights into mixed-marriage families as they were depicted in the arts and in news media; and how the families themselves in turn reacted to, and influenced those images. The author focuses on well-documented individuals and shows how they gained a coherent voice in Dutch culture. Altena attributes to them conscious agency in their own self-presentation, rather than just viewing them as victims of racial prejudice. A timely contribution to the debate surrounding ethnicity and integration in Dutch society, this work demonstrates how that process was mediated by the various agencies, while placing special emphasis on the marginal groups within central news media as crucial in the opinion making. Editor’s note: In this series, CNN investigates international adoption, hearing from families, children and key experts on its decline, and whether the trend could — or should — be reversed. (CNN) — Elisa van Meurs grew up with a Polish au pair, speaks fluent Dutch and English and loves horseback riding — her favorite horse is called Kiki but she also rides Pippi Longstocking, James Bond, and Robin Hood. This website is part of the international cross-media project Surprising Europe, initiated by Ssuuna Golooba, who left Uganda in the hope of a better life. Surprising Europe consists of a documentary and a nine part television series. Surprising Europe.com is a community of people who are interested in African-European migration issues.